Eelyn’s life works in a five-year feud cycle where every five years, her tribe the Aska fight their sworn enemies the Rika. 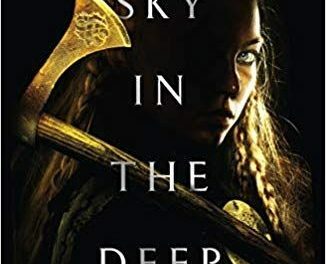 Eelyn believed her brother is dead, killed in the last fight, but her life is turned upside down when she discovers her brother alive and fighting against his former tribe for the Rika. Crippled with betrayal, Eelyn must winter with those she hates until an enemy greater and more deadly than her feud threatens everyone, regardless of their tribe. Can Eelyn grow beyond the prejudices of her upbringing to unite the two tribes against certain destruction facing this enemy alone will bring? From the very beginning, I was swept away in this violent world where alliances are as passionate as the wars. Eelyn’s gut wrenching discovery of just how assimilated her brother has become with their enemies was painful to live through with her. When it becomes clear that he’s moved on enough to find a wife, I hate him every bit as much as she did. Eelyn is strong female, her relationship with her brother drives everything and it goes through all the familiar sibling twists and turns that any of us with brothers and sisters will recognise. And yet, despite her strength, her ferocity, her unhesitating tendency to combat when the situation calls for it, Eelyn is a compassionate, reasonable woman. She doesn’t hide her pain at her brother’s betrayal. She accepts it. Ultimately, she learns from it because, despite her hard exterior and spiky edges, Eelyn is loving. She hurts because she loves her brother. She will push herself further than ever before because she loves her people. I had the privilege of reviewing The Migration by Helen Marshall earlier, find it here, and I praised the main character for her strength and compassion. I found myself having a similar view of Eelyn. Within the settings of the book, Young could have made her overly aggressive to prove her equality against the male characters. Instead, Young, like Marshall, shows us womanhood in all its multi-faceted glory. Both of these books come from Titan Books and their preview list shows more from new female authors to come. The unflinching strength and sensitivity of the female main characters Titan are publishing along with their support of debut female authors shows the shifting attitudes towards women in publishing for the positive. Their publishing schedule is definitely one to keep an eye on for something different and challenging. 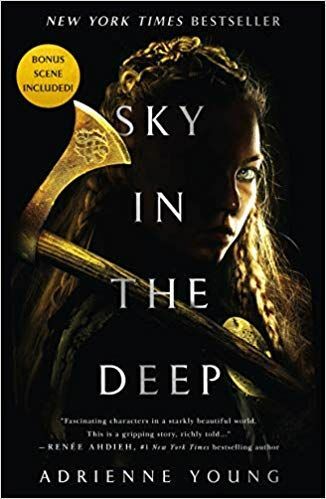 From the first word to the last, Sky in the Deep blew me away with its quality. In parts tender and moving, in others uncompromising and brutal. It’s an emotional tale of growth and self-actualisation that I’ve no hesitation in recommending.